Both Nic Stuart  and Jim Molan  have made their points clear on how they see Reserves: it’s a capability that’s either Needed by the wider Australian Defence Force or Wanted by those who think that it might come in handy. While Molan has a point in stating that a Need must identified, the government has so many Needs on its plate that Reserves is a long way down the list. And the government seems to have a different view of its Needs to Jim’s, with a lot of defence capability being Wants instead, judging from the policy documents that it releases publically. The government spells out its defence aspirations in its periodic Defence White Papers, between which it worries about other Needs/Wants like health, education, the NBN and so on. Having delivered the white paper, the government expects the military to get on with implementing the solutions it has identified for the regional and global issues faced by the nation. How defence delivers this expectation should be up to the organisation itself. Politicians making capability decisions on an everyday basis when they lack the mastery of the profession of arms is incongruous at best and foolhardy at worst. Reserves have played a varying role in the history of Defence as both Stuart and Molan have noted. How they will be used in the future will of course depend on government and defence policy and funds. And they rarely seem to line up nicely. The trap that governments of every persuasion fall into is seeing Defence as a catchall for their needs. Need people on the ground after a natural disaster in Australia? Send some Reserves with supplies and the will do what’s needed. A hurricane in Tonga? Send some cargo planes with life’s essentials. Evacuation of citizens overseas? A few transport ships can sort that out. These tasks, while worthy, are at the lower end of what a Defence can do. The high-end warfighting that is a core task of military is being sadly neglected in many respects. It takes time and effort to train military personnel. This time and effort takes planning, funds and resources. Defence is suffering because this golden triangle of inputs is never aligned with any great amount of certainty. Anecdotally, parade days for many Army Reserve units have been cut in half for 2013. The tradition of ‘Tuesday chocos’ has become ‘every-other-week Tuesday chocos’. One weekend a month has turned into one weekend every two months. And the two weeks a year is also in jeopardy. As mentioned, training a capability takes time and practice. Reserves are not being the chance to become effective. And it can only be a matter of time before some clever accountant asks, if they are not effective, why have them? 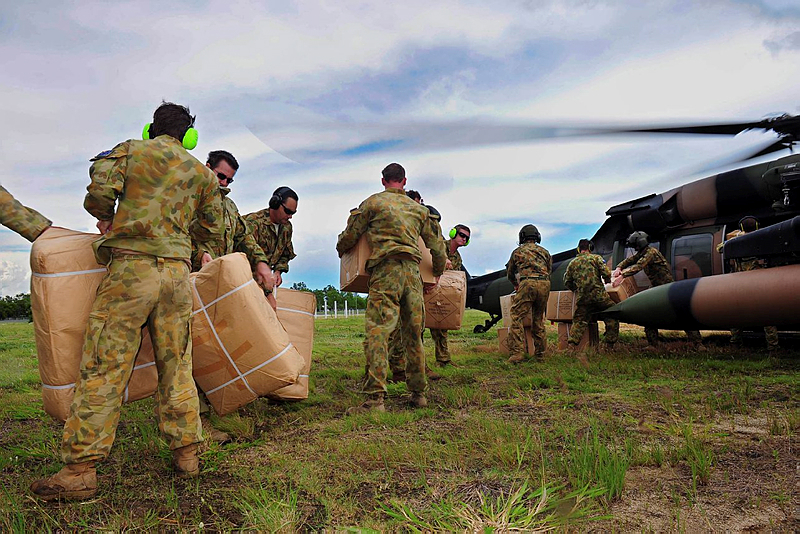 Do we Need or Want a Reserve capability in the Australian Defence Force? The moral of the story; do it properly or don’t bother doing it at all. Katherine Ziesing is the editor of Australian Defence Magazine, an independently published magazine on Defence capability and procurement. She is also a board member of the Sir Richard Williams Foundation, an air power think tank. Image courtesy of Department of Defence .